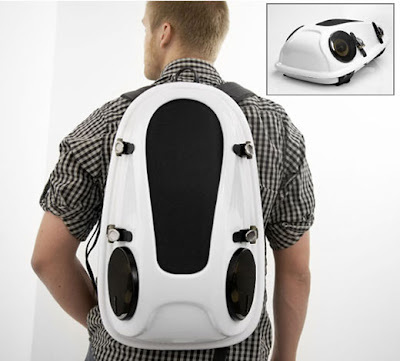 This is Reppo II backpack which incorporates speakers into the main body frame. 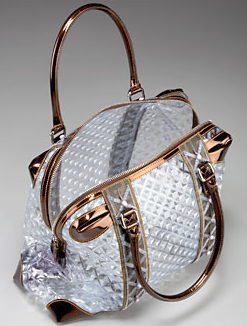 Its by designer Joonas Saaranen. 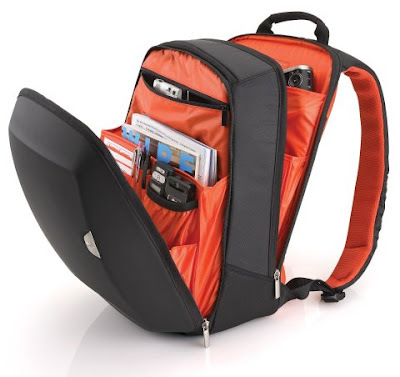 It looks pretty slick and protective with the added function of portable tunes. 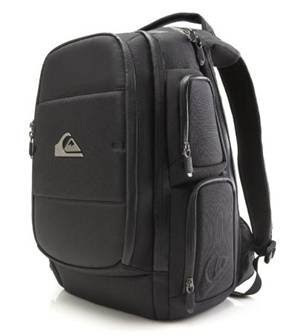 This quiksilver backpack is quite structured and boxy, i'm noticing that backpacks are not only coming back into fashion but structured re-enforced backpacks have been seen alot. 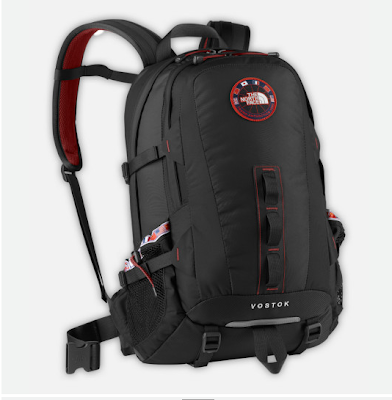 The North Face backpack, more for adventure and traveling, but a nice clean design with uncluttered functionality. 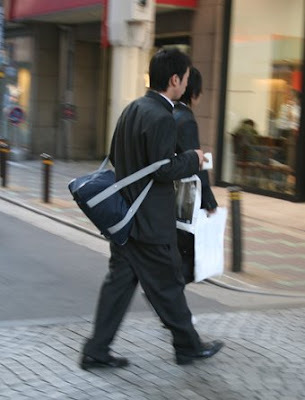 This is the Logitech Kinetic backpack which for a bag made by a computer accessory brand is not bad. Its success is its simplicity. 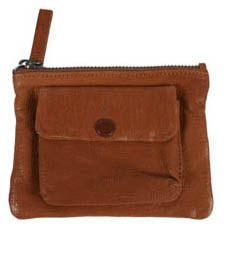 The interior is decked out with many functional pockets which i'm sure would all go to good use. With a moulded front panel, the design is slick and unoffensive. Since last season, Jas M.B. launched Jas M.B. for Katharine E Hamnett, continuing for AW08. 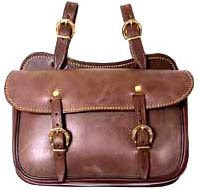 Range includes both men and women in understand Jas M.B style. 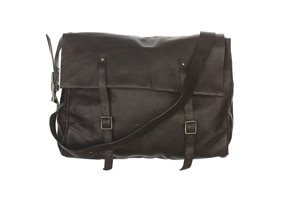 This is the chocolate leather postman bag apparently worn by James Blunt in one of his videos. 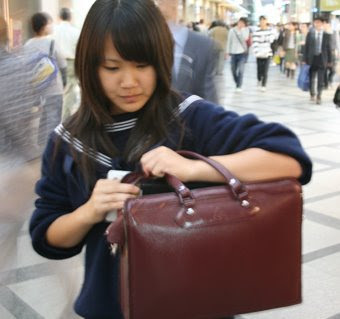 Aside from James Blunt, the Japanese market seem to love Jas M.B bags. I like Photoshop sometimes. 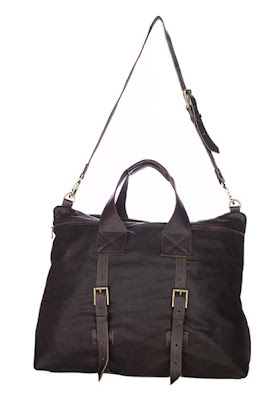 Here I have very roughly and quickly constructed a couple of bag collages. 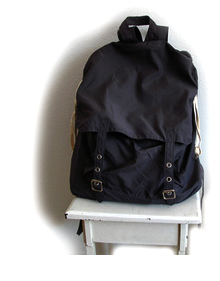 A new idea of things to show on this bag blog. 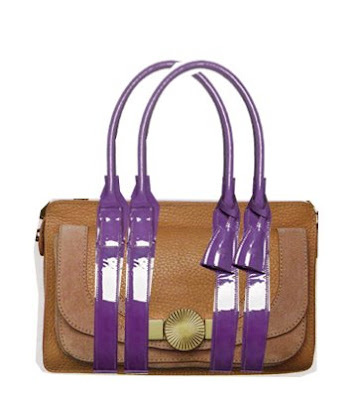 Here you have a tan matt leather shoulder bag superimposed with the purple patent leather straps of the iconic Mulberry bayswater handbag. 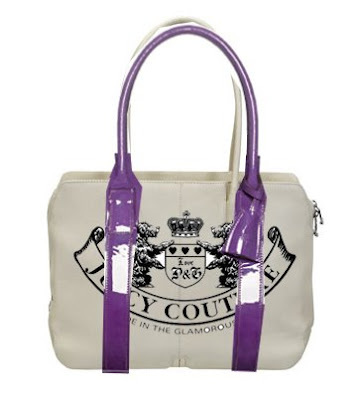 A bit of Juicy Couture on Mulberry action. I'm not sure what the motivation is yet. I just like the idea of creating things from things that already exist and given that the web is a virtual forum, i think this is a good place for a bit of experimentation and exploration. 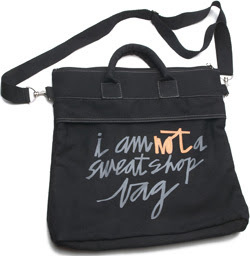 I just bought a new bag. Thats a big deal for me as I find it hard to find the right one, being obsessed and surrounded by them all the time. 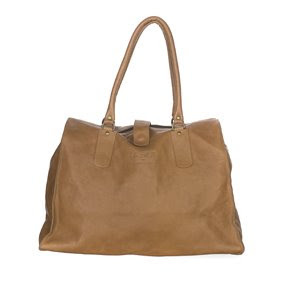 My bag of choice was a Jas M.B small 'wings' which is hard to describe any other way but beautiful. 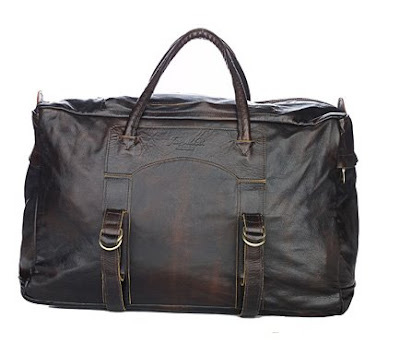 Its made from solid quality leather, unfussy, honest in construction and unpretentious in logo branding. 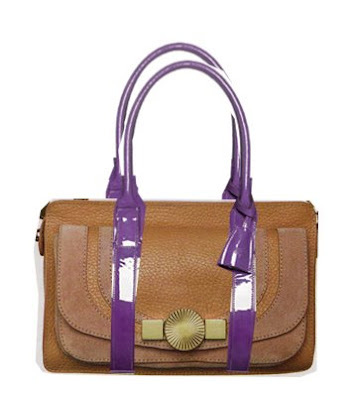 Each bag seems slightly different and take on the characteristics of the individual leather skin they are made from. 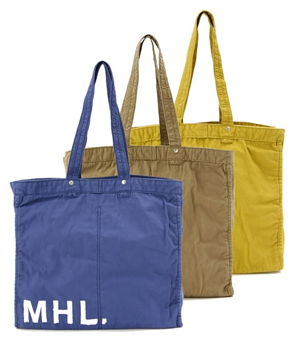 The branding is hardly visible and the bag ages with use as it should. 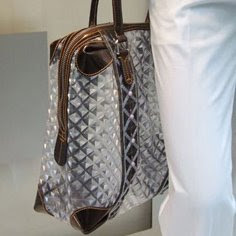 The bags are versatile both in their image (what outfits you can wear them with) as well as function. 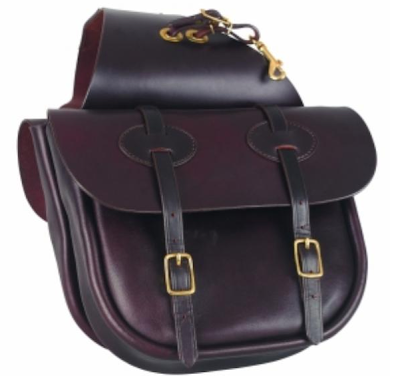 Mine has 3 different ways of holding it - shoulder strap, grab handles and short shoulder strap and i do actually use all three of them. 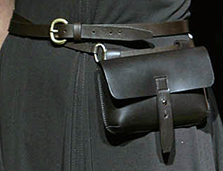 I really love these belt bags, a cross between a bum bag, ammunition holder. 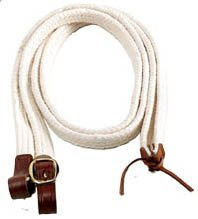 The leather construction also remind me of workmens belts carried by electricians and plumbers in the olden days. 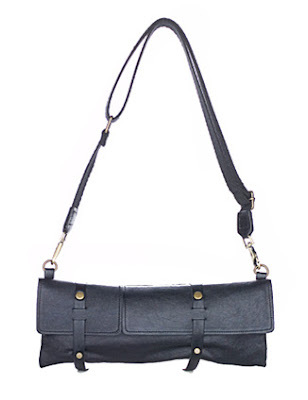 These bags have been manufactured in Thailand by a worker-run cooperative called Solidarity. At their former Bed and Bath factory, workers reported they were given amphetamines in drink containers so they could work through the night. In 2002, all these workers lost their jobs after the factory owner fled the country with their wages. After successfully fighting for compensation, 35 Bed and Bath workers formed their own cooperative. 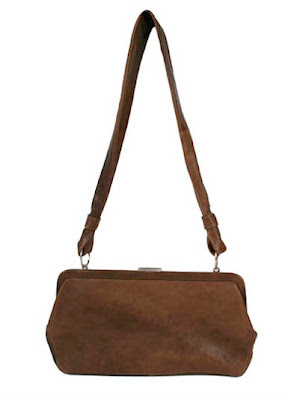 The bags are on sale now in Oxfam shops around Australia or you can buy the bags online and support the cooperative. 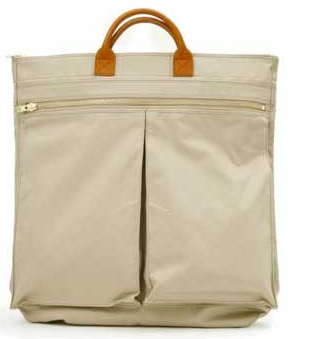 The bag came to being through our design it for labour rights competition held in July 2007. Congratulations to Jacqui Ma on her winning entry. 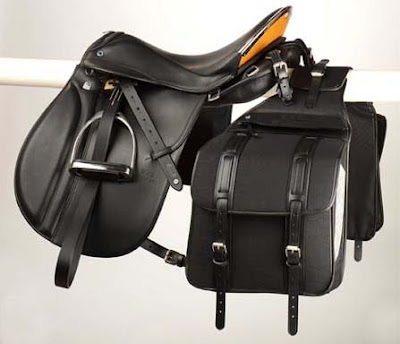 I got very inspired by saddles for bags and also love Ally Cappellino. 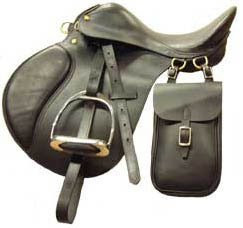 I'm not suggesting that she is influenced by saddles.... who knows i'm sure she is influenced by many things. But i love how these objects sit together. 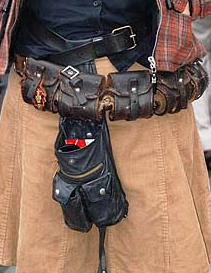 Not exactly related to bags, but i'm thinking of starting a jewellery blog. What do you think? Please inundate me with comments! 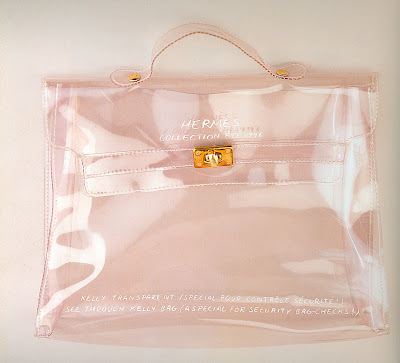 More transparent bags to come. this looks like a lame post so far but believe me, there is more to come! 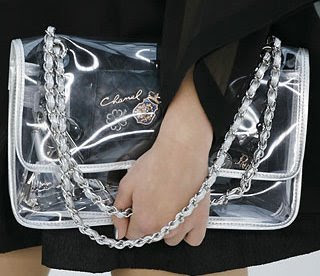 And of course, Chanel with the clear 2.55 style handbag. 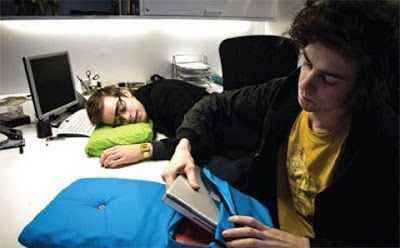 Its the napBook - a pillow and a laptop bag in one. Designed by icelandic designer Hafsteinn Juliusson, its pretty self-explanatory. 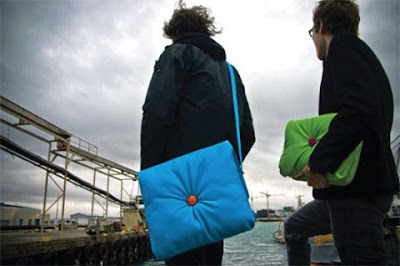 Quirky and probably quite protective to your laptop as well. 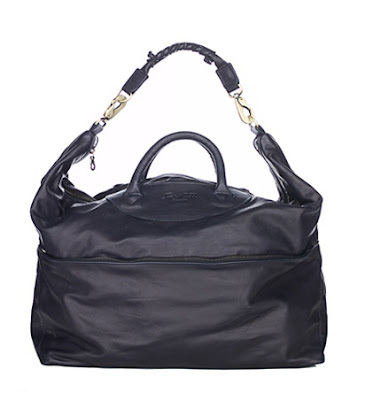 These bags here are the result of the various collaborations between iconic english designer known for her classic style and japanese bag company known for their edgy, iconic (and overpriced bags). I have to be honest and say that i'm not sure this match is one made in heaven. 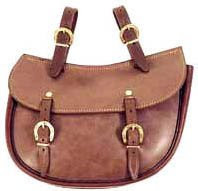 The Japanese are known for their individual style and we all know that they love english classic styling but just throwing these two together and waving a magic wand for a bag collaboration isn't necessarily going to work straight off... and i don't think it does. 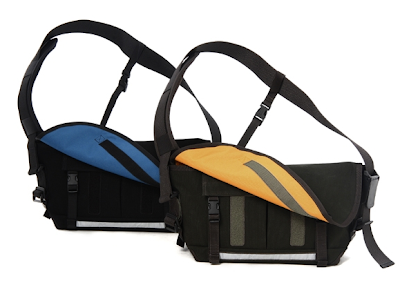 These courier bags are like cheap Porter versions with no real distinguishable personality. 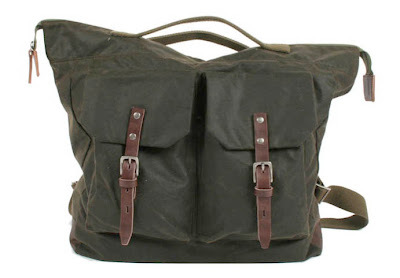 They are neither Margaret Howell or Porter but somewhere in between. 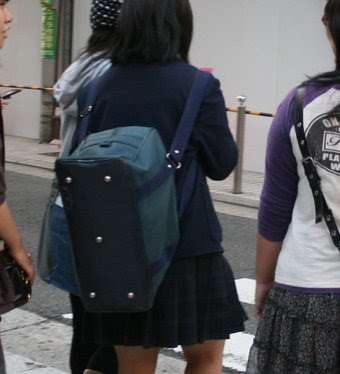 I was recently in Tokyo researching accessories and footwear and came across the school bags of Japanese school students. 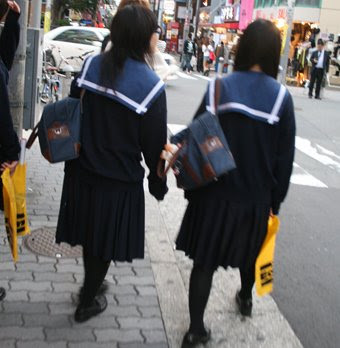 These students have a 2 tone business style shoulder tote bag to carry their books. 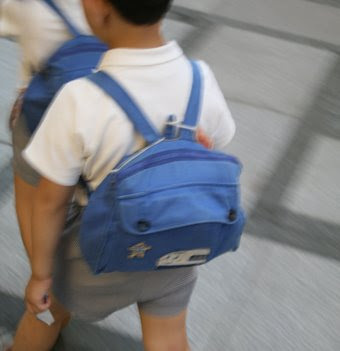 Quite stylish for a school bag, much better than my 'St Catherines' standard issue boxy backpack! 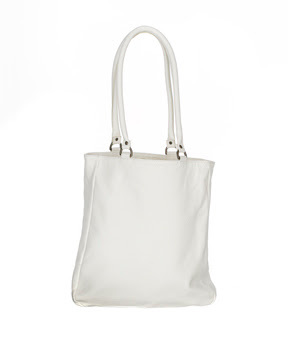 Wearing a tote bag as a backpack slung over both shoulders... a fashion statement or an ergonomic necessity? 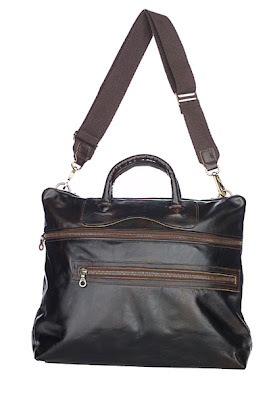 I love this Hermes meets briefcase style school bag (above) its a structured leather number which is quite grown up and stylish. 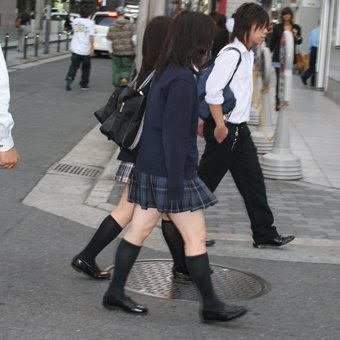 And goes nicely with the nautical-inspired school uniform. 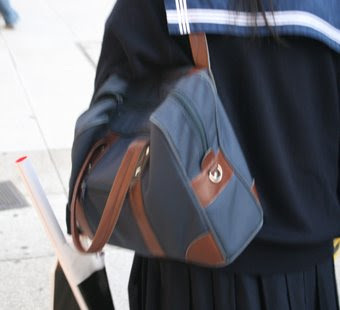 The backpack on the right shows just one example of the trinkets that Japanese students use to personalise their belongings. 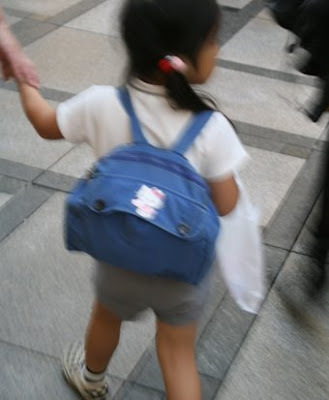 We saw many examples of hanging charms from bags - from soft toys, metal tags to badges and pins.